Leverage quality data sets and automated email, scale your outbound sales processes, and efficiently generate more revenue. 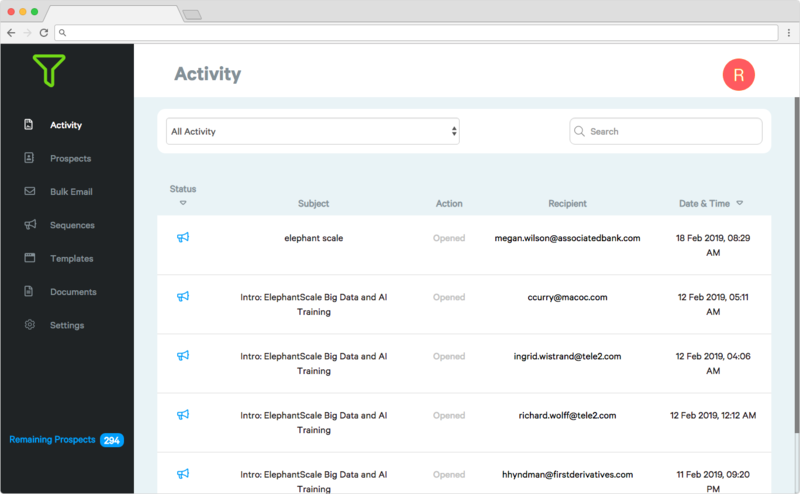 Automated email sequences - take your newly sourced data and put your contacts on autopilot. Work more efficiently from your inbox. Send bulk emails to your prospects directly from your Gmail inbox with our Chrome plugin. Plans start at $100/mo and include prospect credits and unlimited email automation sequences. Pricing depends on quantity of prospect credits you want per month.